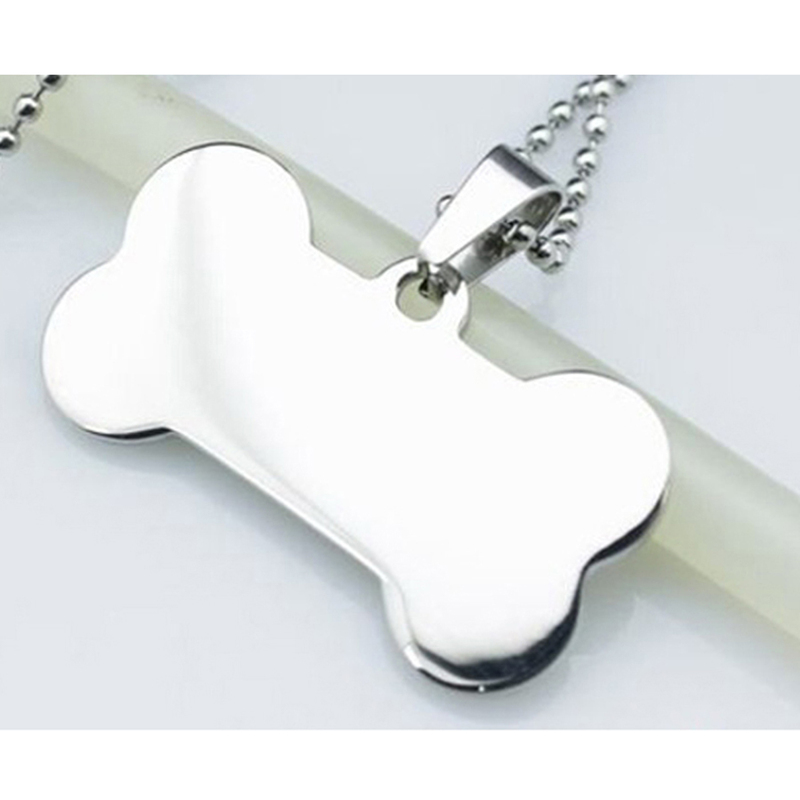 Bone shaped metal nack tag, private custom with your dog's name for anti-lost. DIY dog name card. 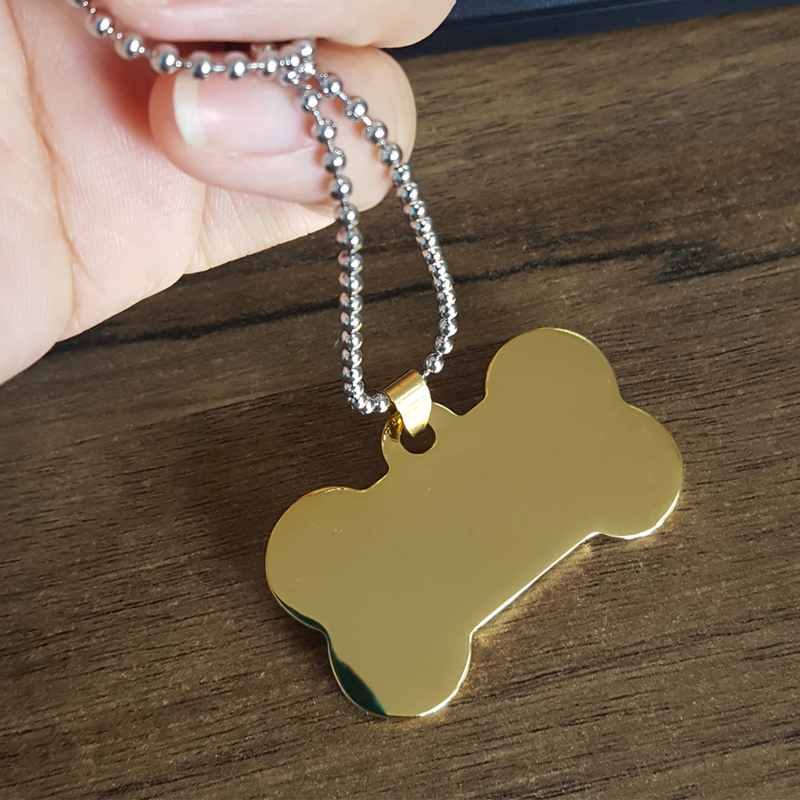 Identity gifts for dog. Hanging with ball chains or hanging with keyring on collar. 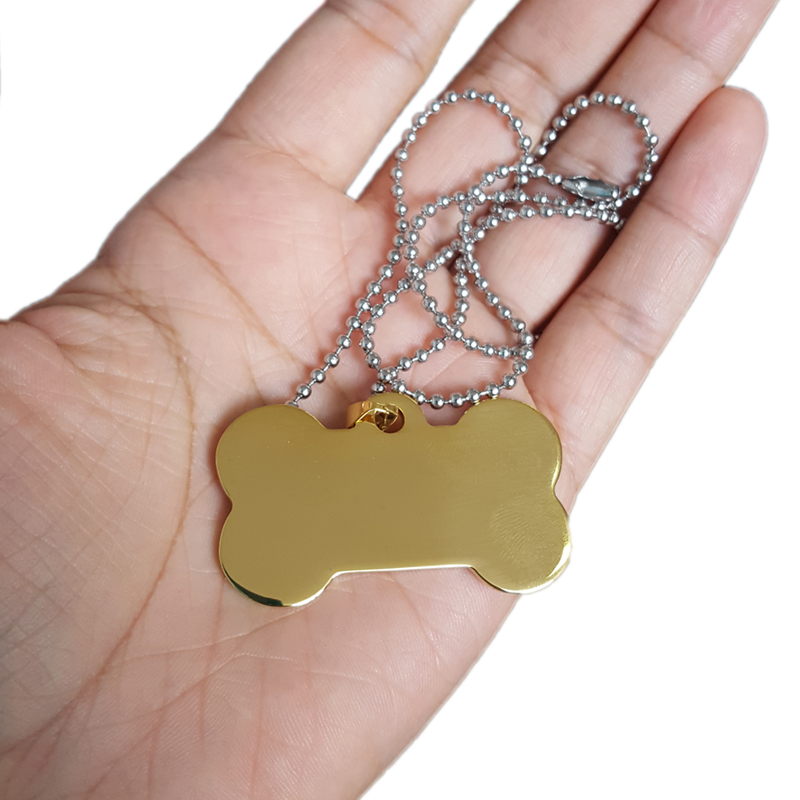 It is regular dog medallion, Golden or Silver color, so just let me know your ordering quantity. 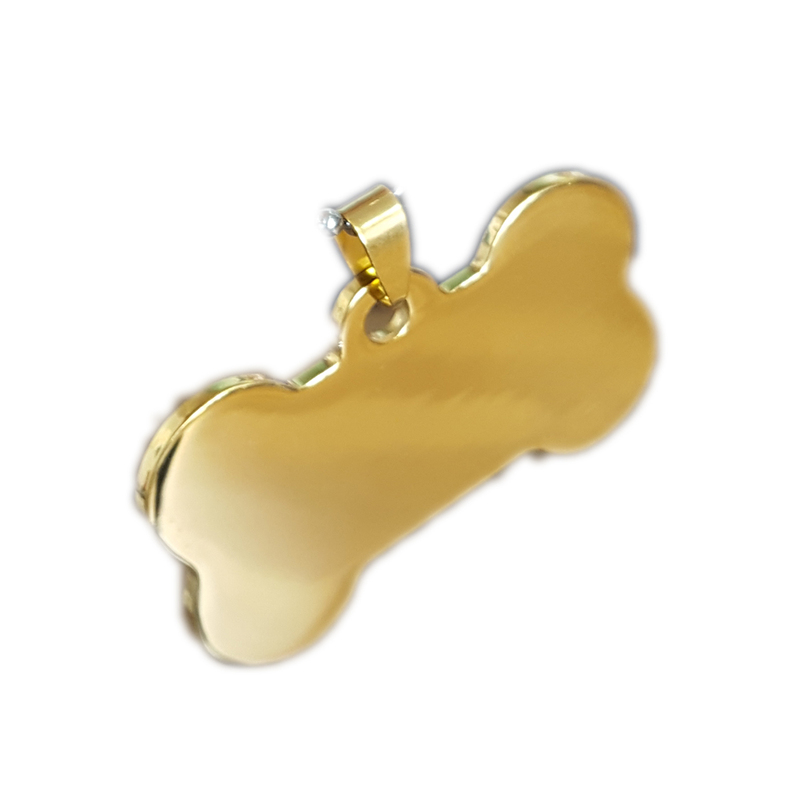 Looking for ideal Bone Shape Neck Tag Manufacturer & supplier ? We have a wide selection at great prices to help you get creative. 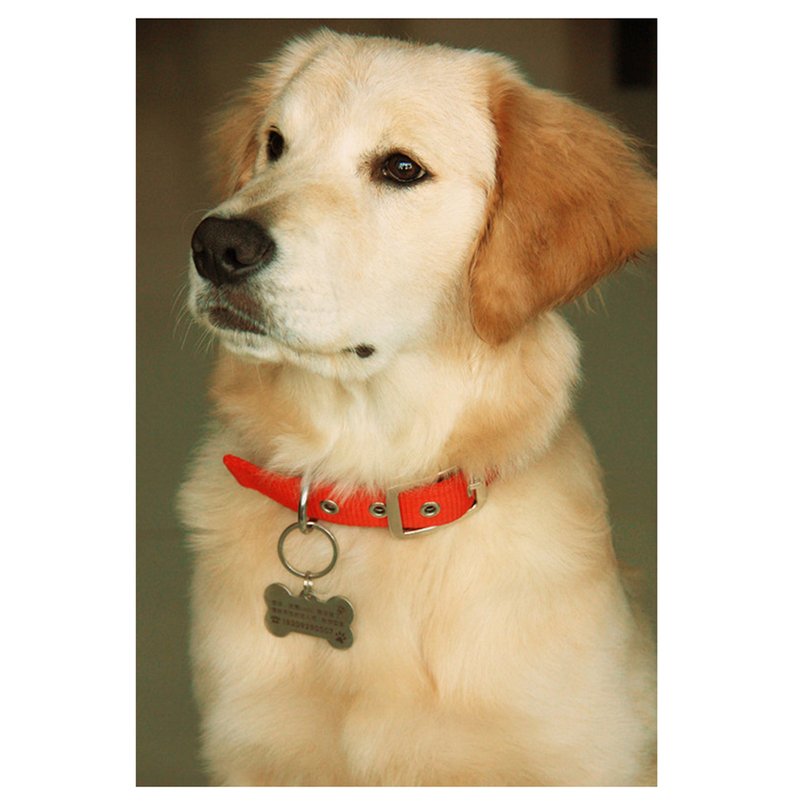 All the Identity Dog Medallion are quality guaranteed. 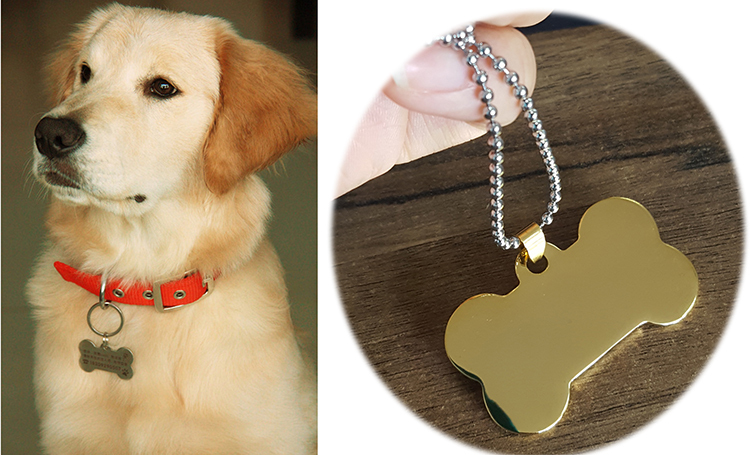 We are China Origin Factory of Metal Dog Name Tag. If you have any question, please feel free to contact us.